Dove Village is Located in Parker, Colorado's Favorite Small Town That's Close to the Big City and All the Metro Area Has to Offer! 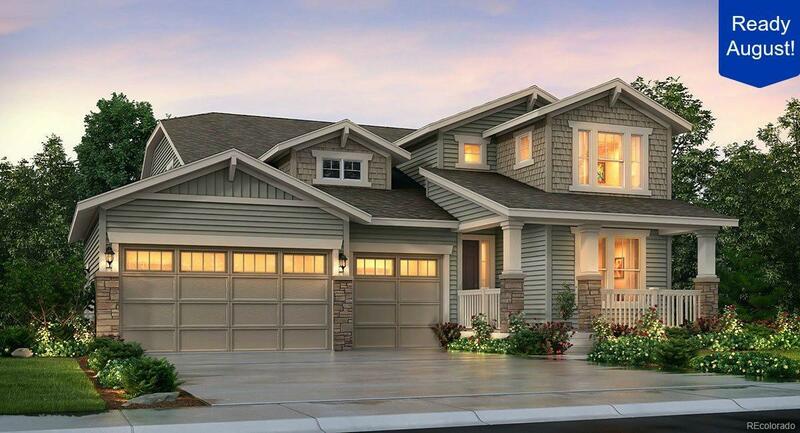 The Stafford is a brand new home expertly built by Lennar that features too many upgrades to list. On the main floor you'll find a private bedroom/full bath suite, an oversized family room with feature fireplace, and the most spectacular eat-in chef's kitchen in town with slab granite counters, unique T-shaped island with tons of space for seating, upgraded cabinetry, custom backsplash, full stainless appliance package, stunning hardwood floors, tons of counter and cabinet space for prep and storage, and a great, real pantry. Upstairs your new master suite with highly upgraded luxury en-suite bath, 3 other spacious secondary bedrooms, and a large loft space that's perfect for a 2nd living area, theater, game room, playroom, office... There are so many options. Relax and enjoy Colorado's famous outdoors on your extended covered deck. Come visit today!